Are You A Young Pro? Join us for a gathering! Guests are always welcome. 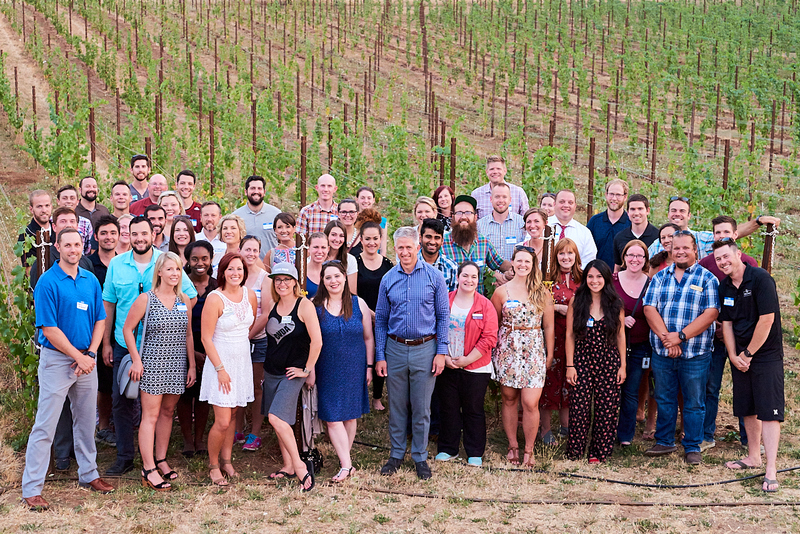 We suggest members be between the ages of 21 – 40. RSVP to info@youngpros.co to let us you’re coming! Our meetings are informal and all we require to be a member is that you show up! (Read: Membership is free!) Visit our Membership Benefits & Requirements page for more info. All of our meetings will follow the above format unless otherwise indicated. July Agenda – @ Tunes on Tuesday! RSVP to info@youngpros.co or on each month’s Facebook event. 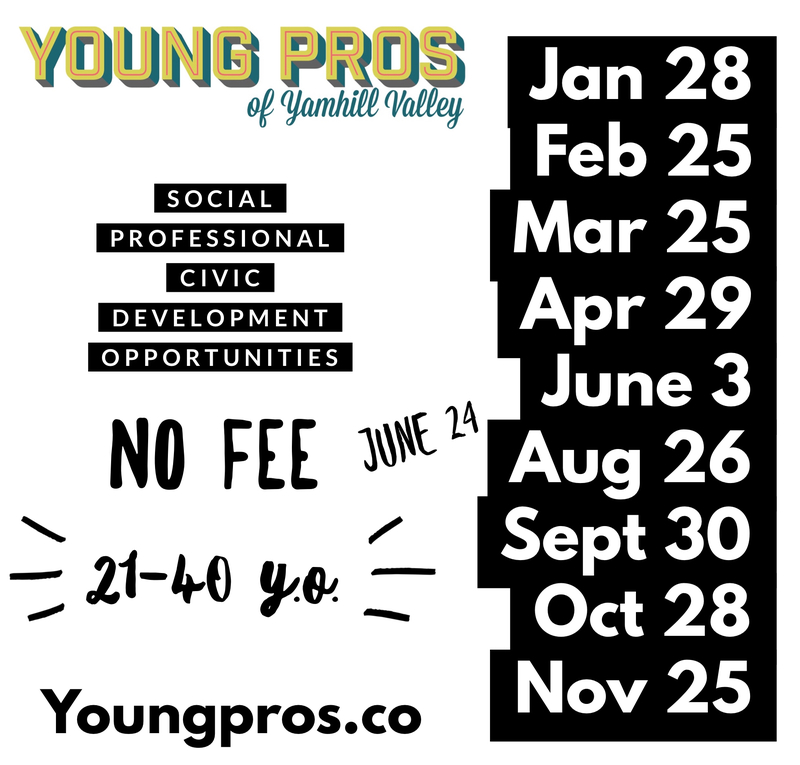 January 28th – The Young Pro’s Annual Meeting and 2019 Kickoff @ the Blanchard Homestead at 4748 NE Blanchard Ln, Dayton, OR 97114. 6pm – 9pm, this meeting is an hour longer than our normal meetings. Sponsor: This meeting is graciously sponsored by your YP Board President, Kristen Stoller, owner of Chehalem Valley Dance Academy. and the location space is graciously donated by Young-Pro-owned Lifestyle Properties. February 25th – @ The Rogue Gourmet Catering in Newberg.